The Mugen design team had a goal to increase corner speed, increase traction, lower the center of gravity and to lighten up the whole drive train but while retaining the high quality that separates Mugen from the competitors. 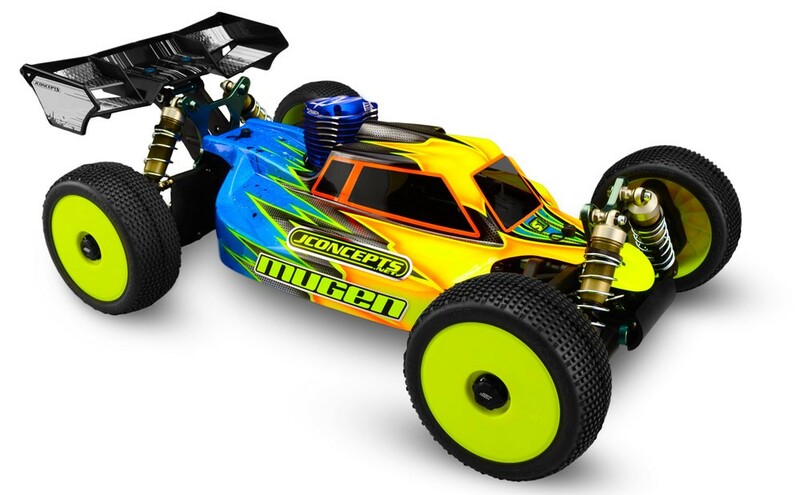 Concentrated on creating a buggy that would carry more natural corner speed, Mugen equipped the MBX7 with redesigned front upper and lower suspension components. The rear suspension was designed to create more traction and smooth action through bumps, jumps and whatever else the buggy attacks with shorter rear suspension arms, fully adjustable anti-squat and toe in bushings. 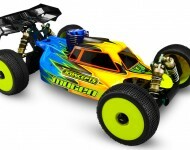 Redesigned front shocks and shock springs control the suspension on the front of the buggy while updated shock angles keep the rear suspension hooked up to the surface.